Welcome to the show notes for the Disney Dream Girls Podcast, show number 241 for Sunday 23rd December 2018. If you want to listen, whilst reading these notes, just click the player below or alternatively find us in iTunes, Libsyn, on Stitcher Radio or via any good podcast catching app. 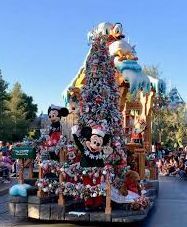 Coming up on this weeks show, we start with On This Week in Disney History and then Michelle and Jayne chat through some listeners Disney Christmas questions. 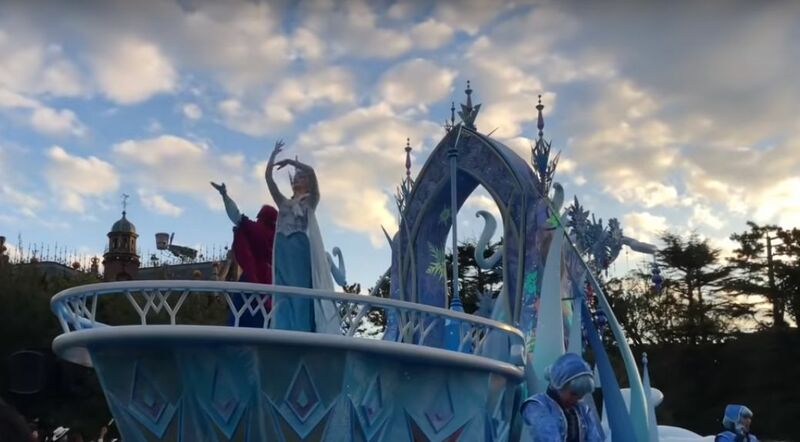 For our main feature we take a look at how Christmas is celebrated in all 6 Disney resorts around the world and we share a snippet of music from each. Which is your favourite? In Disney's California Adventure we find the Buena Vista Street Community Bell Ringers; a very traditional approach to Christmas. 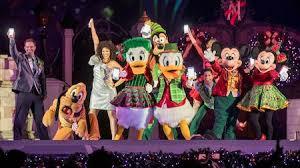 Hoping over the pond to Disneyland Paris we have a listen to their Christmas Parade. 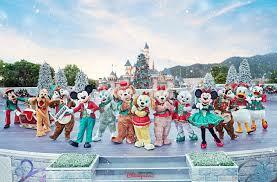 Travelling east to Hong Kong Disneyland we get to experience Mickey and Friends Christmastime Ball. 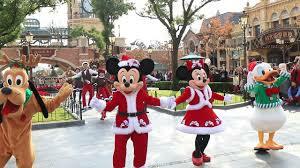 Followed by Christmas Swing at Shanghai Disneyland. Whilst at Tokyo's Disney Sea we take in a wonderful performance of the classic Rudolph the Red Nosed Reindeer. Followed by a very up tempo version of 'White Christmas' as performed in the Tokyo Disneyland Disney Christmas Stories Parade. 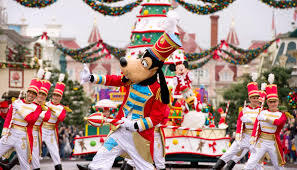 But we finish off with Michelle's favourite the Christmas Fantasy Parade at Disneyland. So which is your favourite? We have some opinions but do you agree with us? We'd just like to wish you all a very Merry Christmas and a safe, healthy and happy New Year. Thank you for listening and supporting our show we hope you enjoy coming along for the ride. We're going to have a couple of weeks rest and be back in 2019! Welcome to the show notes for the Disney Dream Girls Podcast, show number 240 for Sunday 16th December 2018. If you want to listen, whilst reading these notes, just click the player below or alternatively find us in iTunes, Libsyn, on Stitcher Radio or via any good podcast catching app. 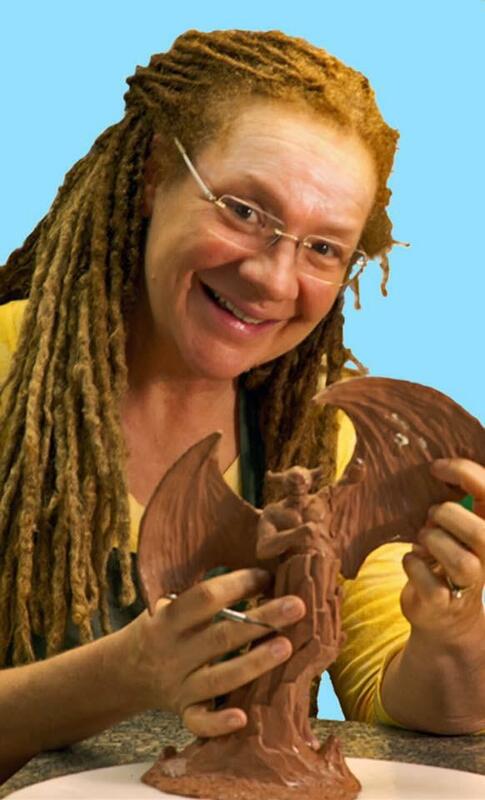 Coming up on this weeks show, we have Ciaran back with This Week In Disney History and also a chat between Michelle and former Disney Imagineer - Terri Hardin. Below are some of the highlights from our On This Week in Disney History segment. On the 20th December 1971, Roy O Disney, one of Walt's brothers, business partner and co-founder of the The Disney Company passed away in Burbank California. He was 78 years old. 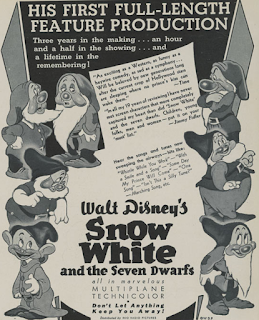 On 21st December 1937 saw the premiere of Disney's first feature-length animated film, Snow White and the Seven Dwarfsat the Carthay Circle Theatre, located at 6316 San Vicente Boulevard in Los Angeles, California. 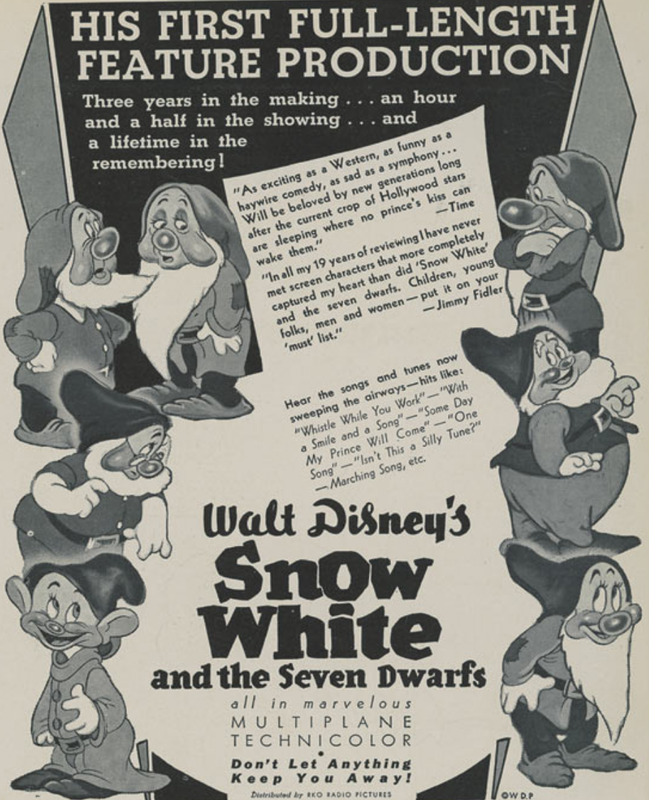 The film features the voices of Adriana Caselotti (as Snow White) and Harry Stockwell (as the Prince). The Michelle is joined by previous guest - Terri Hardin to share some of her Christmas stories. 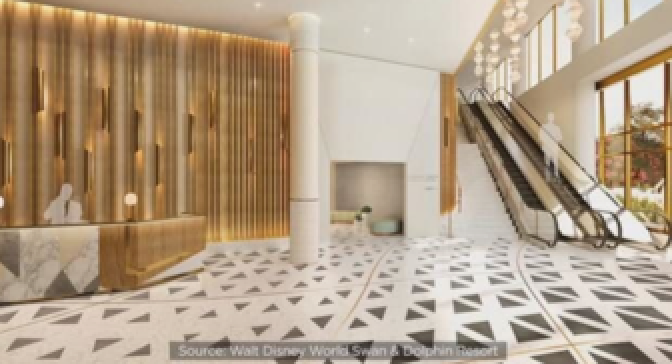 Welcome to the show notes for the Disney Dream Girls Podcast, show number 239 for Sunday 9th December 2018. If you want to listen, whilst reading these notes, just click the player below or alternatively find us in iTunes, Libsyn, on Stitcher Radio or via any good podcast catching app. 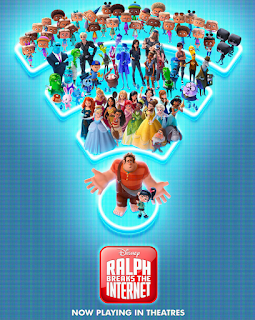 On this weeks show, Michelle is joined by Kat and Lewis to talk through a range of Disney topics and one of them is Ralph Breaks the Internet (pretty much spoiler free). On the show, Lewis revealed he hadn't heard of what A113. So we thought we would share what this is and suggest some other Easter eggs from the film. So A113 is an inside joke, an Easter egg created by alumni of the California Institute of the Arts, referring to the classroom used by graphic design and character animation students including Disney and Pixar's John Lasseter, Tim Burton and Brad Bird. In Ralph Breaks the Internet look out for A113 when Vanellope runs past a room on her way to meet the princesses in the Oh My Disney section of the film. Now you know about A113 you need to be on the look out for it as it has appeared in every Pixar movie as well as lots of other Disney films, video games and various TV shows and animations. 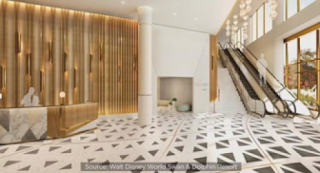 Welcome to the show notes for the Disney Dream Girls Podcast, show number 238 for Sunday 2nd December 2018. If you want to listen, whilst reading these notes, just click the player below or alternatively find us in iTunes, Libsyn, on Stitcher Radio or via any good podcast catching app. Coming up on this weeks show, we have a few news items and then we answer some listener questions. A new hotel will be coming in the next two years from Marriot International to the area adjacent to The Swan and Dolphin. This new development will have 349 rooms and a rooftop venue for weddings and private hire. Jayne discusses the sneak peak of the new Lightning McQueen Racing Academy being show on 'Disney Parks Presents a 25 Days of Christmas Holiday Party' TV special. 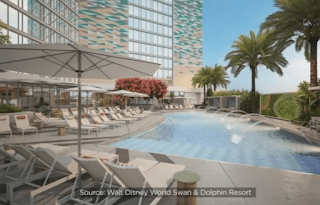 The attraction opens in Spring 2019 and will be located in Sunset Showcase at Disney's Hollywood Studios. 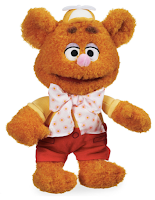 The attraction will immerse guests in the world of Cars but is this just going to be a fancy meet 'n' greet?? 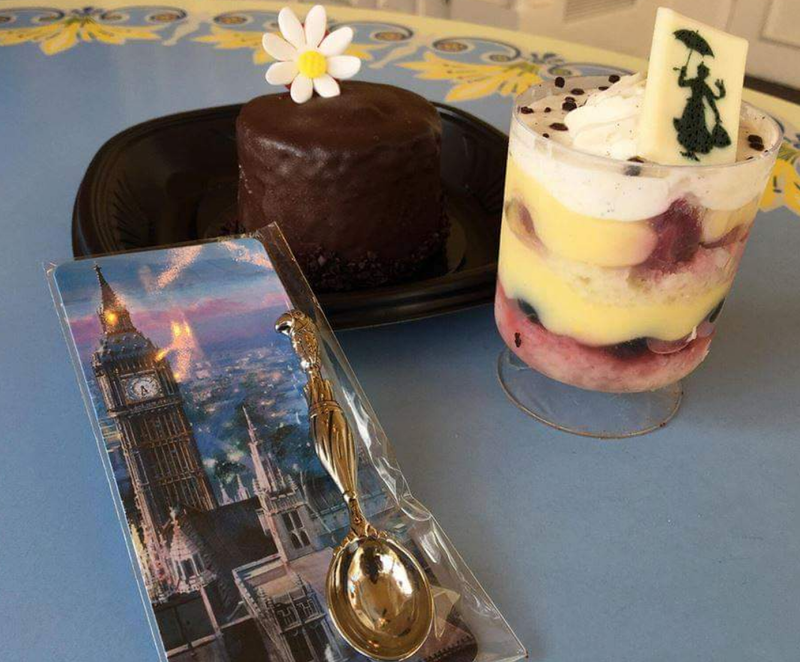 Over in Disneyland you can spend around $13.99 for two enhanced desserts that are themed around the Mary Poppins Return movie. The first option is a chocolate cake with a crème center, finished with ganache, chocolate flakes, fondant flower, and a maraschino cherry, served with a souvenir Mary Poppins Spoon. The second option is a dollar less and is a good old trifle! Inside the plastic cylinder you will find layers of pound cake, mixed berries, raspberry jam, pastry cream, and vanilla bean Chantilly cream, finished with Chocolate Flakes, served with a Souvenir Mary Poppins Spoon. On the show we answer this question - What attraction would you ask the catering team to create and why? How could you make money from this? This was a great question and I hope you liked the answers that we gave you. We were then asked to answer - Choose an attraction to up-level and in doing so consider extra ways of generating extra revenue? 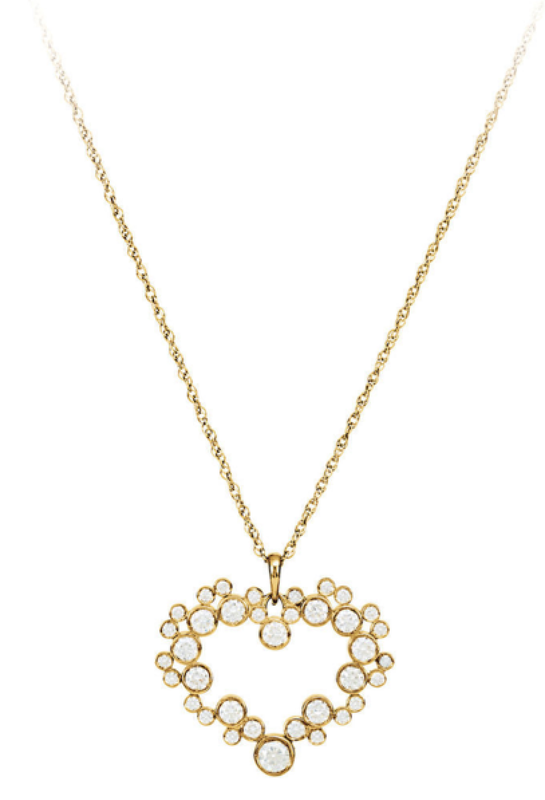 Well we had lots of fun with this one! Our final listeners question involved tour creation - What tour would you create and what would it involve? So we decided upon a few ideas. We would love to hear your thoughts on these questions. We decided to get a little silly and look at the Disney Store website and challenge each other to guess prices and include a gift list for items you may want to buy the special Disney fan in your life.Michelle was very keen on the Muppet babies plush but also the heart shaped Mickey diamond necklaces... however she knows which she is more likely to get!